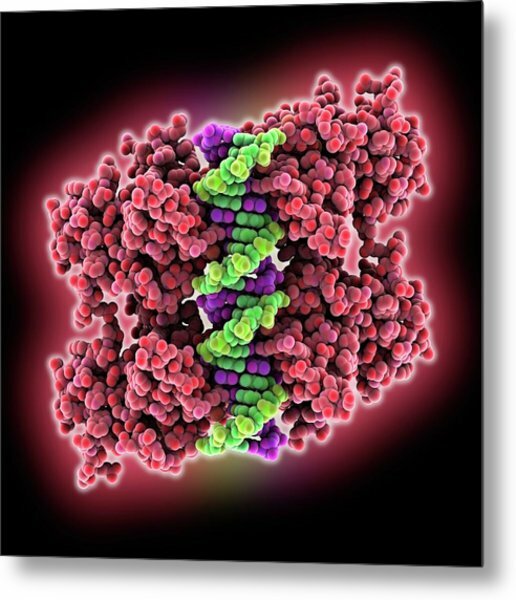 Tumour Suppressor Protein And Dna is a photograph by Laguna Design which was uploaded on July 24th, 2016. Tumour suppressor protein and DNA. 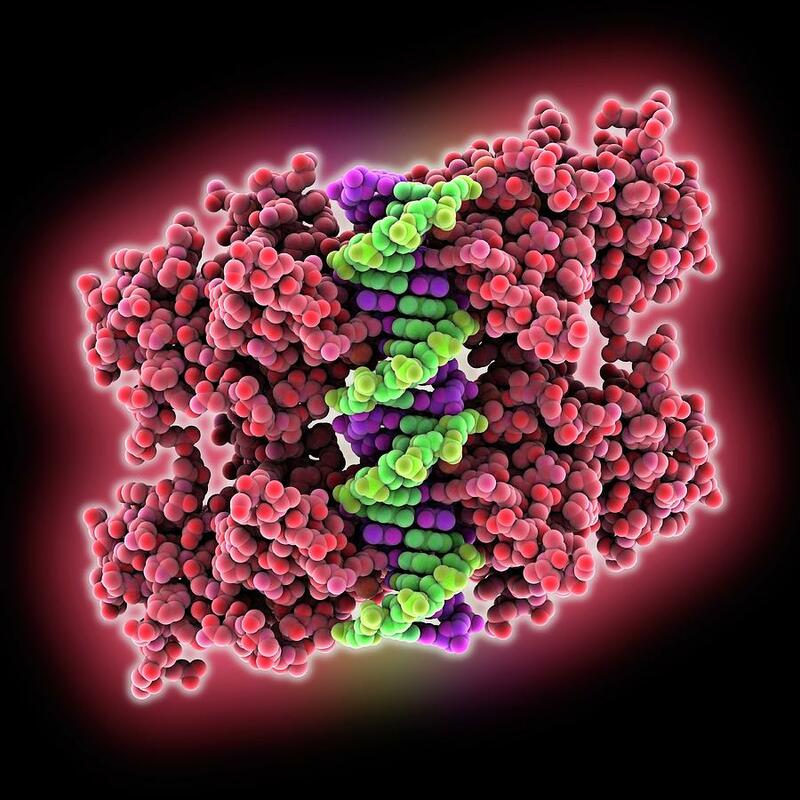 Molecular model of the tumour suppressor protein p53 (left and right) bound to a segment of DNA (deoxyribonucleic acid, down centre). 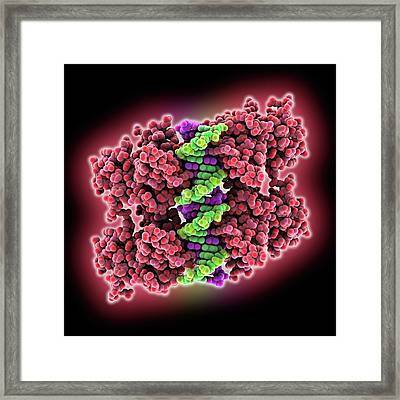 P53 prevents the proliferation of cells with damaged DNA. 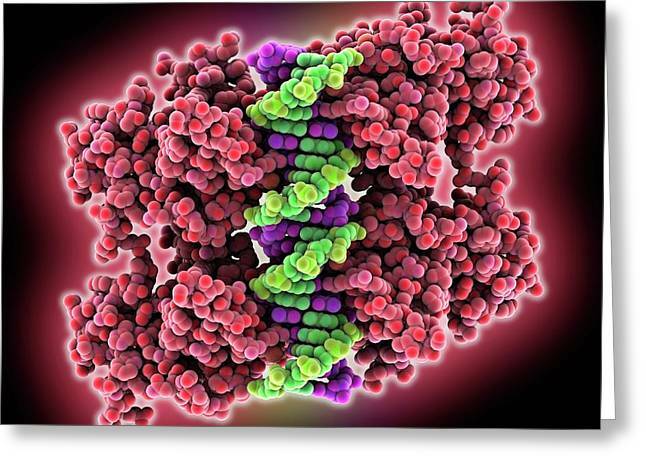 Its production occurs in response to radiation and chemicals that damage the structure of DNA. 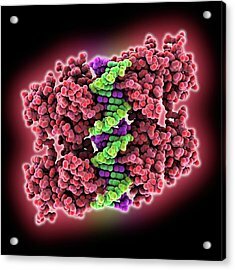 The protein binds to specific sequences in the DNA and halts the cell cycle (the means by which cells replicate). 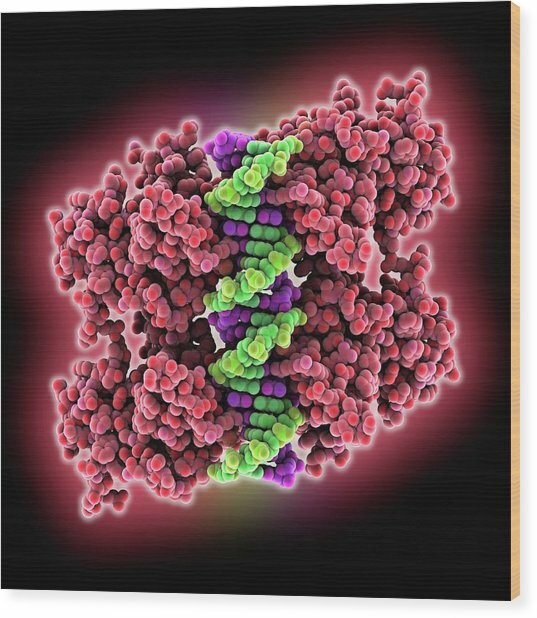 If there is only minor damage p53 activates genes involved in DNA repair, but if the damage cannot be repaired it initiates cell death (apoptosis). 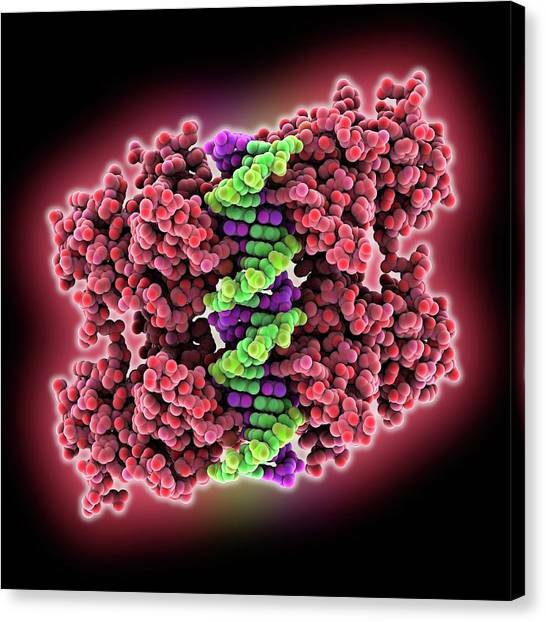 P53 plays a very important role in preventing cancer. 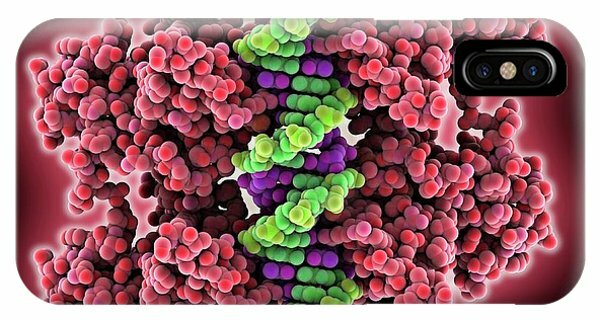 There are no comments for Tumour Suppressor Protein And Dna. Click here to post the first comment.